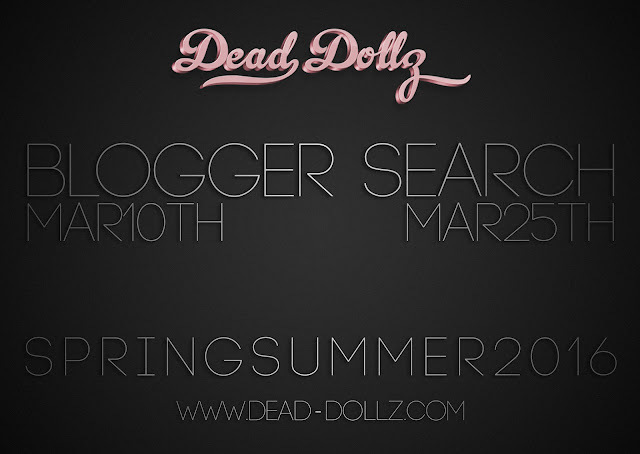 Dead dollz is looking for bloggers with quality pictures and a large reach. If you are interested, please click the picture to go to the website and be sure to read the requirements before you apply. The search ends March 25th. If you don't quite meet the requirements yet, don't be discouraged, there will be more blogger searches in the future, just keep going and be sure to have fun.